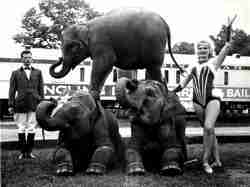 We are saddened to say that we have received word that circus legend Mary Ruth Herriot has passed away. 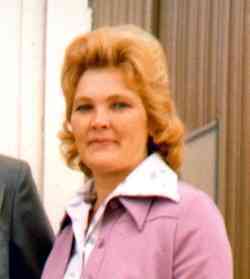 Beloved wife, mother and grandmother Mary Ruth Herriott was born in Youngstown, Ohio and was raised in nearby Hartford on a farm. She loved animals and worked with all the farm animals, and in her teenage years she joined a travelling performing horse troupe call the White Horse Troup. 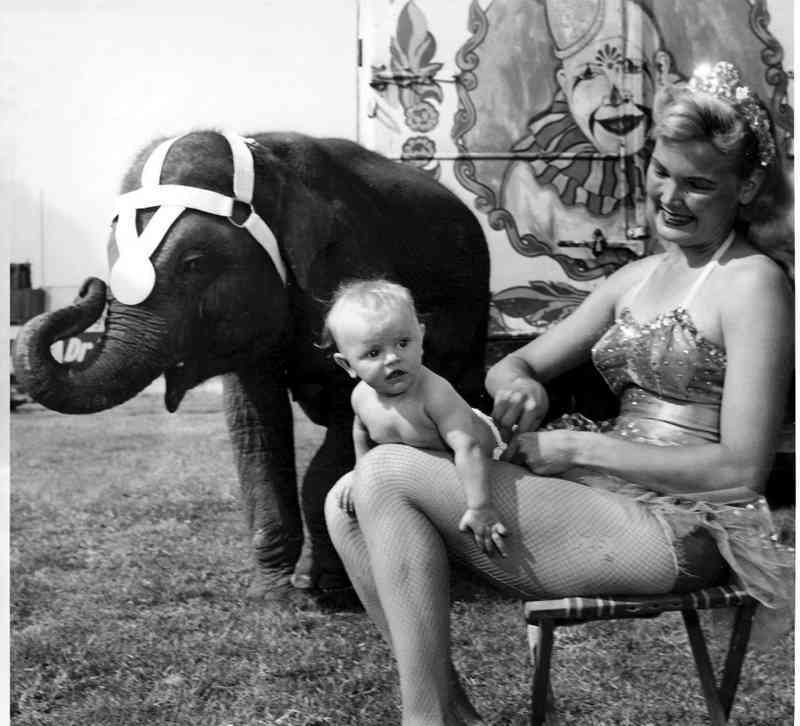 She became enamored with performing animals and life on the road. Upon her high school graduation in Hartford, Ohio, she joined the circus and performed with horses, ponies, dogs, elephants, goats, and as an aerialist. It was there she met and married John Herriott, who along with his father was the horse trainer. They married soon after in the center ring of the circus. Together they raised 4 daughters all of whom followed in their parents footsteps. 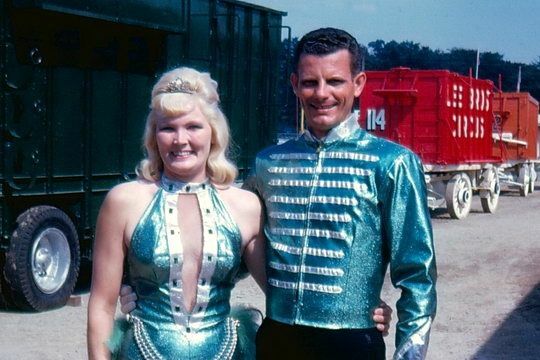 Mary Ruth, along with her husband and family toured and performed with every circus small and large in the United States as a feature equestrian, animal presenter, and with her signature poodle and pony act. She taught all her daughters aerial acts as well. In the late 1990's she received the Gold Medal for best animal attraction at the Sarasota Circus Festival riding her beautiful appaloosa Apache Bandolero. Mary Ruth, a beautiful, strong and amazing woman, and the matriarch of her family, worked as a partner with her husband, while raising her daughters. She was preceded in death by her husband of 60 years, John Herriott, mother MaryJane Steffey, sister Shirley Walp and brother Pete Steffey. Survived by her four daughters Laura Herriott, Cindy Wells, Heidi Herriott-Koch, and Cristine Plunkett all of whom continue on with the family tradition. Also survived by 10 grandchildren: John John, Jason, Jennifer, Tyler, Star, Cassidy, Jesse, Cole, Breana, and Veronica; as well as two great grandchildren LJ and Jason; and brother Bill James. John Milton Herriott was a talented and charming man whose career path has spanned generations. He was born in St. Peter, Minnesota to Milt and Viola Herriott. He followed his father into the field of animal training, and quickly rose to the top. Alongside his wife MaryRuth, he appeared with his performing animals at virtually every circus in the USA and beyond. 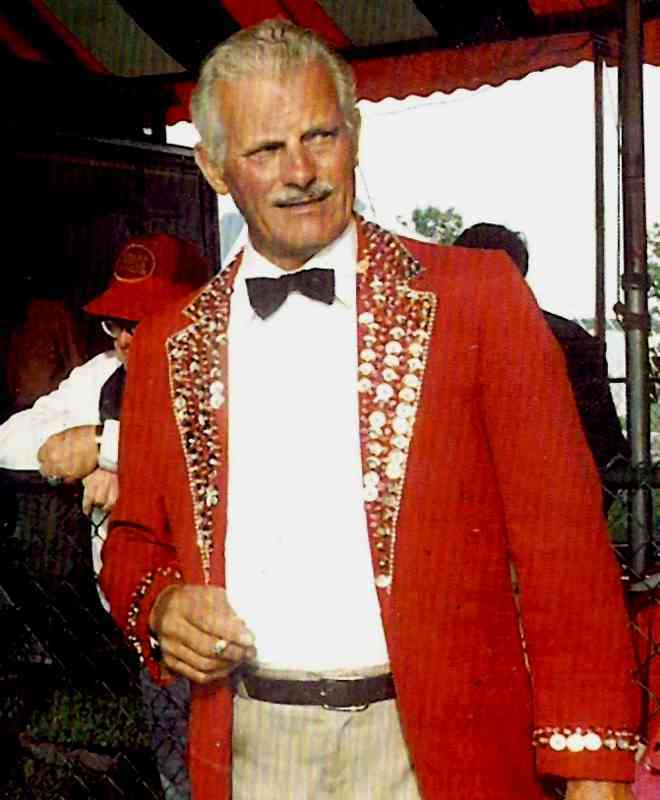 He has received numerous accolades including inductions into the Sarasota Ring of Fame, Ringling Museum's Circus Celebrity, and the Int'l Circus Hall of Fame. His performing credits include Ringling Bros., Walt Disney World, MGM studios, Smithsonian Institute, and more. In addition to animal training and circus management, John was also well known for his writing and poetry. 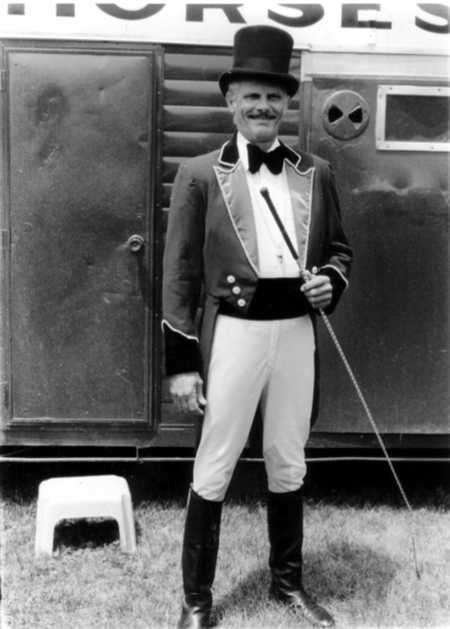 The Sarasota Herald Tribune referred to him as the 'Poet Laureate' of the circus. 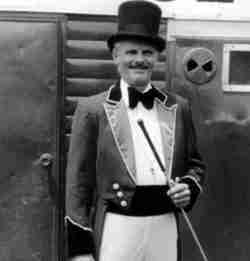 As a sought after circus historian, he is noted or quoted in virtually every book or documentary about the American Circus. John proudly served his country during the Korean War and was awarded the Combat Infantry Badge. John had retired from performing and training. 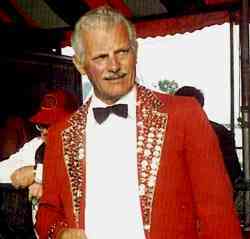 He was a past President and member of the Showfolks of Sarasota. He is survived by his wife of 60 years Mary Ruth, and his legacy lives on with his 4 daughters, 10 grandchildren, and 2 great grand children. The family will receive friends on Monday, March 2, 2015 beginning at 6:00 PM at Toale Brothers Funeral Home, 40 N. Orange Ave., Sarasota.